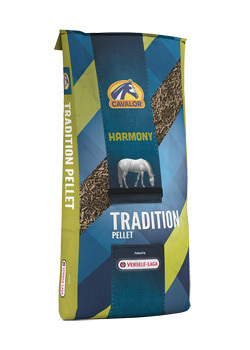 Cavalor® Tradition Pellet contains all the essential elements needed for a well-balanced traditional ration. The ideal feed for horses at rest or horses subject to very light work. This feed can be easily supplemented with grains for increased workloads. The formula contains all of the necessary elements for a healthy traditional horse ration. 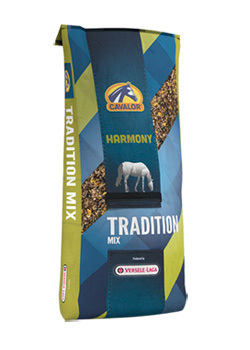 Cavalor® Tradition Mix is designed for horses at rest or horses performing light work. 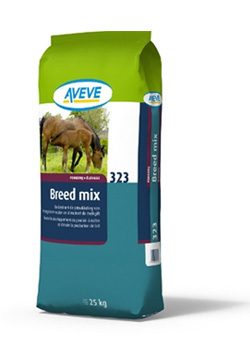 The excellent quality of this base mixture Cavalor® Tradition Mix allows for a very broad use of the feed (regardless of the type of horse). This all-round mix can be digested very easily which leads to a better conversion from feed to usable energy. Is an oats-free, delicious mix containing all of the necessary nutritional elements for leisure horses. This special mix contains real dried apple flakes for a natural and traditional taste. 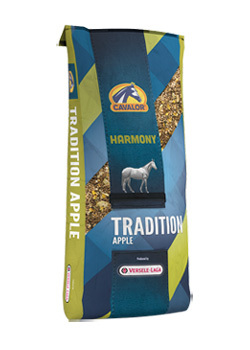 Cavalor® Tradition Apple contains FLORASTIMUL, a prebiotic to ensure a healthy intestinal flora and help reduce gastro-intestinal disorders. 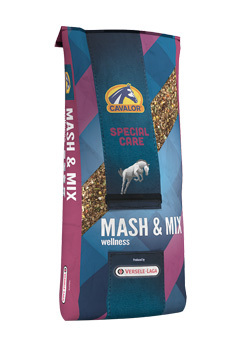 After heavy exertion, horses need a light and easily digestible meal, not highly concentrated feed: Cavalor® Mash & Mix! This feed contains heat-treated nutritional elements (mainly wheat bran and linseed), easily digestible high-quality raw materials, vegetables and herbs that stimulate digestion. Thanks to Cavalor® Mash & Mix, your horse replenishes lost fluids and electrolytes after heavy exertion. That is why Cavalor® Mash & Mix with MEGA ELECTROLYTE is a truly responsible reward after a heavy effort. Cavalor® Mash & Mix is also a great warm meal for cold winter days as it is an easily digestible source of energy (diluted with hot water). Horses are originally prairie animals that primarily grazed all day on grasses and herbs. The equine digestive system is designed for daily grazing; as it is made up of a small stomach and a well-developed large intestine. Today’s horses are usually fed highly concentrated feeds, relatively little hay and almost no herbs which is quite the opposite from what their digestive systems are designed to ingest in nature. 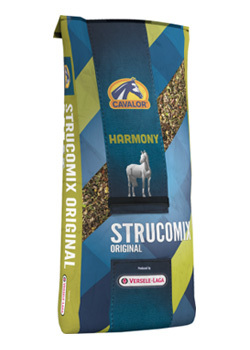 Cavalor® Strucomix Original is a complete maintenance feed containing all the natural raw materials a horse could have originally found in the wild while grazing. This complete feed contains FIBER PLUS, a mix consisting of different types of grass and alfalfa to ensure a balanced supply of crude cellulose, which stimulates the intestinal flora. YEAST PLUS and a wide-ranging herbal mixture that includes thyme, garlic, and oregano is also added to the mix. These herbs have a favorable effect on digestion, immunity and breathing. Cavalor® Strucomix Original can also be used as a replacement for roughage, in addition to concentrate, or as a supplement to concentrate and roughage so that your horse gets all the herbs desired. The way a pony converts feed into usable energy differs from that of a horse and for this reason, Cavalor® has developed Cavalor® Strucomix Pony; a special mix for ponies formulated with key elements for an optimized conversion of feed into energy. 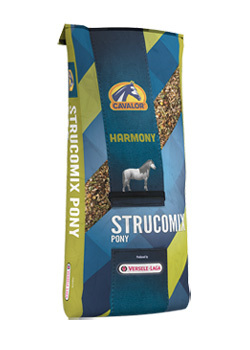 The ingredients in Cavalor® Strucomix Pony have been carefully selected to optimize digestion. The formula contains key ingredients such as alfalfa stems, live yeasts and vegetables. Obesity, loss of conditioning and too much energy are the most common problems found in inadequate diet plans for ponies. Cavalor® Strucomix Pony is formulated to avoid these common issues while making significant diet improvements. Is specially designed for Appaloosas, Paint and Quarter horses, as these horses have very specific nutritional needs. Western horses are characterized by their strong muscle and skeletal structures as well as strong ligaments and tendons. Cavalor® Western Mix is specially formulated for the needs of western horses. The mix contains MUSCLE PLUS to protect muscle fiber from cell breakdown after heavy exertion and ARTI PRO to provide maximum support to the skeleton and joints. The efficiency of the digestive system as well as the quality of a horse’s teeth decrease as horses age. As a result, senior horses need special nutritional attention. Cavalor® Strucomix Senior is specially formulated with puffed grains for easy and efficient digestion and high-quality proteins (easily digestible and faster conversion into energy) as well as a high content of vitamins, minerals and trace elements. Cavalor® Strucomix Senior contains FIBER PLUS, an easily digestible sources of cellulose. Crude cellulose helps promote proper functioning of the digestive system. The high vitamin and, mineral content in this feed compensates for the reduced absorption of crude fiber. Cavalor® Strucomix Senior also contains AIR FORCE, a balanced formula with garlic and herbal extracts designed to improve breathing and stimulate optimal blood circulation. The high content of copper, zinc and manganese optimally supports the joints, tendons and the entire bone structure. Is a high fat concentrate formulated with the Cavalor quality to support : * Weight Gain : a high fat mixture designed to safely increase weight. * Immunity : contains omega 3 fatty acids to help support the immune system * Gut Health : a powerful trifecta of prebiotics, probiotics & enzymes to improve digestion. It promotes extra shine and weight. This budget-friendly mix provides your horses and ponies with their daily nutritional needs. 300 - 500 g of concentrated feed per 100 kg of body weight. These amounts can vary based on the type of horse and the amount of exercise they get. Concentrated feed is always to be given in addition to quality roughage such as hay or straw (1 kg roughage per 100 kg of body weight). Top Hay is 100% natural meadow hay for horses. It is dried naturally and dust is ex-tracted twice. Top Hay contains long-stem roughage that is naturally low in protein and rich in cellulose (28% crude cellulose). In addition, it has the surprisingly pleasant smell of fresh grass. 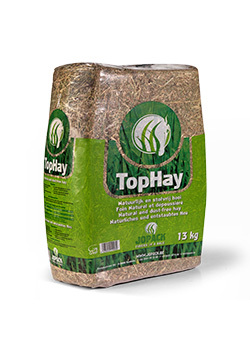 Give 1 to 2 kg Top Hay per day per 100 kg body weight, depending on the amount of other feed given and the horse’s activity. Cavalor® Probreed is a mix rich in essential amino acids necessary for the growth and optimal development of unborn foals. It also contains important vitamins, minerals and trace elements of superior quality. Cavalor® Probreed contains OPTI GROWTH, a combination of elements to provide maximum bone support and tendon and joint development for unborn foals. Mares in the last three months of gestation, lactating mares and young foals (up-to-12 months) have an increased need for the top-quality ingredients found in Cavalor® Probreed. Consists of tasty, easily digestible, extruded grains and lactoproteins, to learn the foal gradually to go from liquid to solid meals. This unique formulation safely minimizes the transitional period during the weaning period from milk to concentrates by decreasing the chances of a halt in growth. The foals just continue to grow. The ratio between calcium and phosphorus is crucial for the proper development and growth of foals. OPTI GROWTH guarantees that. Cavalor® Start & Go SOFT contains also the prebiotic FLORASTIMUL to ensure optimal intestinal flora. As a result the foal is less prone to intestinal disorders. Is specially formulated for young horses from approximately 1 year. During this period in which the foal fully develops, playful yearlings need specific growth-inducing nutritional elements. Those nutrients guarantee the progressive growth of bones, joints and organs. Cavalor® Juniorix is formulated to support steady and healthy growth which is crucial to the development of strong and healthy horses. 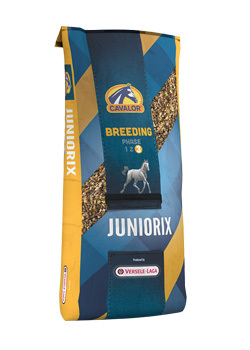 Cavalor® Juniorix contains OPTI GROWTH, a special element to ensure proper bone, tendon and joint development by supplying the perfect calcium to phosphorus ratio and optimal availability of copper, zinc and manganese. OPTI GROWTH can help reduce issues related to OCD and osteoporosis (porous bones). Mix for pregnant and/or lactating mares Breed mix was developed specifically for pregnant and/or lactating mares. This mix meets the increased nutritional needs. 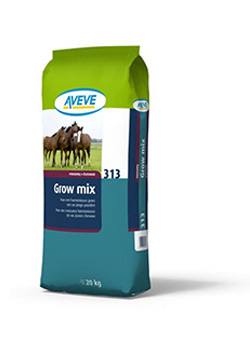 Grow mix is a mix specifically for growing young horses. The alfalfa fiber feed is quiet recognized and promoted digestion. Unique vitamin and mineral balance for a healthy movement frame. Stimulate digestion by added alfalfa. 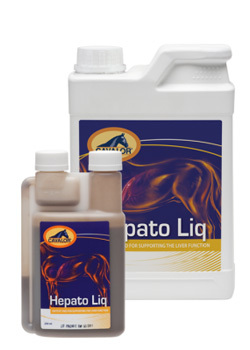 High content of amino acids and high in energy to support the explosive growth of the young horse. Is a unique feed designed for horses that need to standout and shine under the spotlight such as Arabian show horses, sale horses and other show horses. Cavalor® Shine & Show contains a high percentage of natural oils for a shiny and healthy coat while supplying the horse with a safe source of energy. It is important for show horses in general to stay in excellent shape. Cavalor® Shine & Show contains all the necessary elements to ensure top form and health. It contains MUSCLE PLUS, a sophisticated composition of vitamin E and selenium: this combination of elements helps strengthen the natural resistance of the muscle structure. Maintenance feed for horses at rest, horses with light workloads or horses with lower feeding requirements. Cavalor® Action Mix is formulated for competition horses performing light work (4-8 hours a week). The selection of natural raw materials in Cavalor® Action Mix is specifically tailored to meet the nutritional needs of horses practicing light work while maintaining adequate nutrition and high palatability. Through the clever use of vegetable products and an insight into the actual requirements of the competition horse at light work, a mix has been formulated that fulfils the requirements of an excellent feed. Cavalor® Action Mix is designed to be fed in addition to hay and straw. This great competition mix can also be fed with limited grazing (1 kg hay = 5 kg grass) to ensure horses get all key nutritional elements. Is a tasty pelleted feed designed to be fed as a complete feed or as a supplemental feed in addition to grains (oats or barley). But Cavalor® Action Pellet can also be given as a complete feed to horses without additional grains. 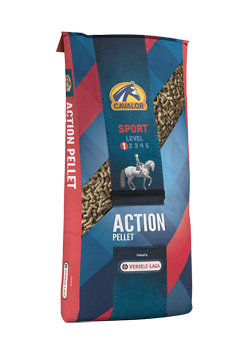 Cavalor® Action Pellet contains top-quality proteins and easily digestible sources of cellulose. The addition of these high-quality ingredients can be seen in a very short period of time through a healthy and shiny coat. The pellets in Cavalor® Action Pellet are larger than other pellets and allow for the feed to be chewed properly. As a result, the first phase of the digestive process (mixing with saliva) is facilitated and exceptionally more effective. 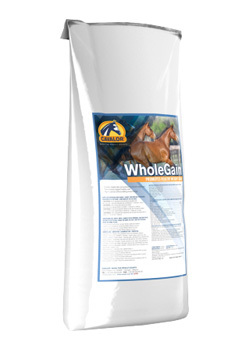 is a well-balanced feed suited for active competition horses intended to be fed in addition to the daily ration of hay and straw. Cavalor® Perfomix contains all the nutritional elements needed by active recreational and competition horses engaging in average to intensive work. Horses engaging in intensive work need additional joint support. Cavalor® Perfomix includes ARTI PRO; a combination of key elements such as copper, zinc and manganese to provide ultimate support for joints, bones and tendons, especially when the horse is subjected to additional or increased intensity of work. Cavalor® Perfomix is formulated with top-quality proteins, fats and easily digestible cellulose. Is a feed for competition horses performing long, aerobic exercises such as long distance and endurance training (e.g. dressage, military, carriage-driving, endurance, etc.). Since these horses must deliver continuous efforts, not only do they need energy from grains, they also need long-term energy sources from good fats like vegetable oils and essential fatty acids. To be effective, the fatty acids’ composition of the used fats is just as important as the fat content. Because of their sustained intensive efforts, these horses lose electrolytes (essential minerals) while sweating. And that loss needs to be compensated for. MEGA ELECTROLYTE ensures that your horse enters the competition with sufficient electrolyte reserves. Is a top-quality sports feed specifically designed for the very active competition horse performing explosive short efforts. To adequately perform short intense efforts the horse’s body primarily uses sugars derived from grains in its feed. The more grains, the more energy? Feeding grains must not be exaggerated or it may form too much lactic acid with the result of muscular and digestive problems. Cavalor® YEAST PLUS counteracts acidification in the large intestine. Contains the core nutritional components found in premium Cavalor® feeds such as Cavalor® Endurix, Cavalor® Perfomix and Cavalor® Superforce. Core nutritional components include: easily digestible puffed grains, high-quality readily digestible proteins, high vitamin content, minerals, trace elements and essential fatty acids. Cavalor® Fifty-Fifty, offers an easy way to increase the nutritional value of your current feeding program by giving you the option of mixing and matching this feed with your current feed and / or grains in order to produce a top-quality ration. Cavalor® Fifty-Fifty has been specifically designed for mixing and matching in order to provide a flexible base for your multifunctional stable (for example, a mixture of studs and horses in training). 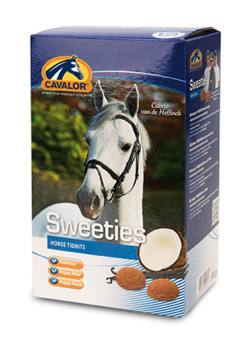 Cavalor Kiddies are used as a healthy tidbits to reward horses. Cavalor Sweeties, fruities and herbs. Snacks to reward horses, horses love them. Indication for use: Moisture and dirt can cause the frog of the hoof to become soft and result in thrush. Cavalor Dry Feet works quickly and effectively. Composition: Contains substances that disinfect and dry the frog of the hoof. Application and dosage: Use Cavalor Dry Feet preventively to keep the hoof sole and frog dry (2 times a week), or use Cavalor Dry Feet to treat thrush (1 to 2 times daily for a period of 4 to 5 days). Packaging : Bottle of 250ml/ 8,5 fl. oz. Product presentation: CAVALOR® HOOF AID- Premium Line To support the quality of the horse's hooves and hoof growth. Indication for use: Cavalor Hoof Aid is a nutritional tool to maintain proper hoof quality and to strengthen the hooves. Preventively, Cavalor Hoof Aid is given to horses that tend to suffer from moderate problems of diminished or poor hoof quality. For horses with very bad hoof quality we recommend Cavalor Hoof Aid Special. 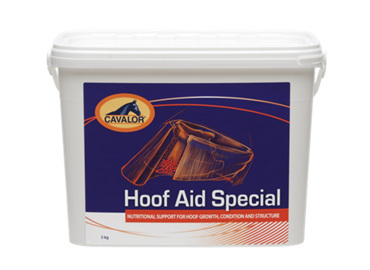 Composition and safety of the product: Due to its unique composition, Cavalor Hoof Aid is remarkable for its relatively fast and above all lasting results. Apart from high-grade biotin, vitamin A, vitamin D3 and zinc have been added (which are important for regular growth and the structure of the hooves). The product also contains the amino acid methionine, which plays an important role in processes related to hoof growth.Dosage Ponies, recreation horses and sport horses: 30 grams/day. Continue the supplementation for at least two months (the effect builds up gradually). Maximum dose per animal per day: 100 grams. Product presentation: Cavalor® Hoof Aid Special - Professional Line High-grade mixture of vitamins and nutrients to restore hoof quality in a reasonable time. 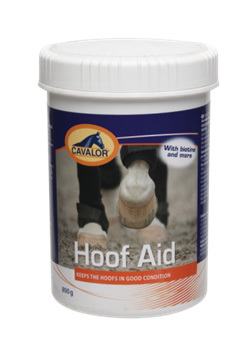 Indication for use: CAVALOR HOOF AID SPECIAL is a supplement developed to improve the quality of the hoof. Because some horses have very bad hoof quality, they need much more than only a mixture of some vitamins such as Biotin. For these horses, Cavalor developed a special high-quality mixture that restores the quality of the hoof. Cavalor Hoof Aid Special is used by professionals and specialists in the fight against brittle and torn hooves, separated walls, stagnating hoof growth and poor hoof quality. Composition and safety of the product: Cavalor Hoof Aid Special contains biotin and MSM. MSM is a highly bioavailable source of sulfur. Sulfur is an essential ingredient of keratin, an important constituent of the hoof wall. Cavalor Hoof Aid Special also contains vitamins A, D3, B2, B3, C; choline; calcium and phosphorus; chelated copper and zinc. Furthermore, Cavalor Hoof Aid Special contains amino acids that are important for hoof growth and hoof quality. Cavalor Hoof Aid Special was specially developed to contain those substances that positively affect nutrient digestibility and the resistance and flexibility of connective tissue. 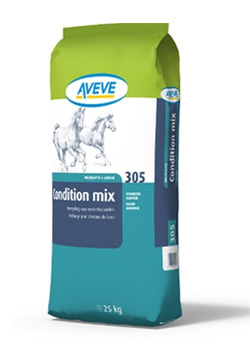 Dosage Cavalor Hoof Aid Special is given as a supplement to the normal ration: 50-150 g/day. Continue the supplementation for at least 1.5 months. Product presentation: Cavalor® Hoof Conditioner - Premium Line Natural greases beneficial for the hooves. Indication for use: Cavalor Hoof Conditioner is a mix of natural greases that are known to be beneficial for the hoof. 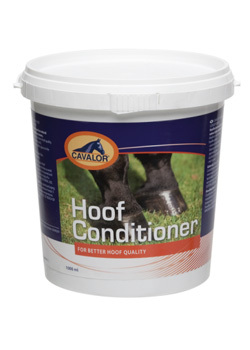 Cavalor Hoof Conditioner provides the necessary ingredients to keeps the hoof healthy. 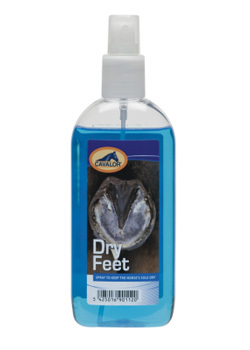 Usage : Cavalor Hoof conditioner should be applied several times a week on the cleaned hoof. For hooves in very bad condition, it is advised to wet the hoof before applying Cavalor Hoof Conditioner. Product presentation: Cavalor Hoof Oil Special Cavalor Hoof Oil Special combines two oils: a nourishing oil, with active ingredients that are absorbed deep into the hoof, and a unique essential oil for optimum hoof growth, development and quality. The essential oil also helps inhibit the growth and reproduction of bacteria, which results in a healthier hoof Cavalor Hoof Oil Special creates an ideal moisture content, which helps broken or damaged hooves recover while a new, healthy hoof grows in. 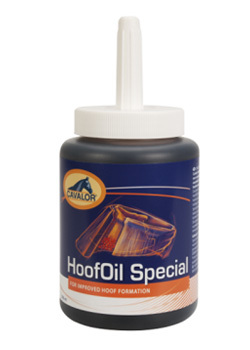 Indication for use: Per day: It is important to apply Cavalor HoofOil Special several times a week to the outside of the cleaned and damp hoof with the help of a brush. 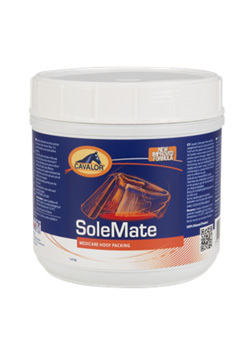 Additional Information & Education:- Cavalor SoleMate is developed to provide natural care for footsore horses due to galloping, jumping, pulled shoes, thin soles, bruises, abscesses, etc,. Cavalor SoleMate is a blend of natural ingredients that will not test and can be used during competitions. 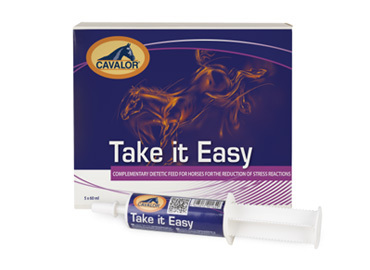 Cavalor SoleMate is designed to draw out pain, soreness and inflammation after a horses hard workout. Epsom Salts work to draw out pain and soreness. Iodine is an antiseptic, anti-microbial, anti-fungal. Pine Tar helps provide moisture balance and promote new hoof growth. Arnica is an approved anti-inflammatory agent used topically. Cavalor SoleMate must be kept in moderate temperatures (10 - 25 C°). If it hardens in cold temperatures soak in warm water to soften. If too soft, soak in ice water or refrigerate to restore proper consistency. Keep out of reach of children. Cavalor SoleMate will keep for 2 years in a sealed packaging . 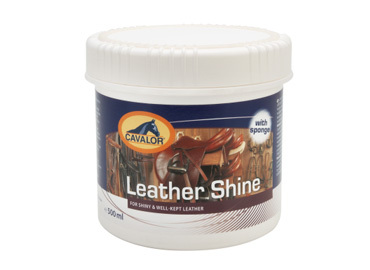 Product presentation: Cavalor® Leather Shine - Premium Line This unique formula nourishes and keeps leather supple without becoming slippery. Indication for use: New equipment needs special treatment. Cavalor developed a leather balm to nourish the leather and to keep it supple. This unique formula makes the leather look shiny. UsagePut Cavalor Leather Shine on cleaned leather with a damp cloth or a sponge. The shiny effect will be reinforced by polishing with a woolen cloth or soft brush. 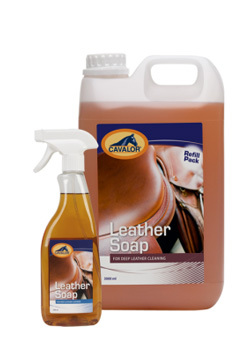 Product presentation: CAVALOR® LEATHER SOAP - Premium Line For intense leather cleanup. Indication for use: Glycerine-based liquid leather soap for intense leather cleaning. Cavalor Leather Soap nourishes and makes the leather supple without loss of strength. Usage: Put Cavalor Leather soap on a damp sponge and rub the leather with a cloth or soft brush, making the leather shine and removing possible white soap residue. First remove any dirt. Then apply Cavalor Leather Soap with a damp sponge/cloth on the leather and rub it in. After drying, polish the leather with a dry cloth or a soft brush, making the leather shine and removing any soap residue. Bottle containing 3000 ml/ 101,4 fl. oz. Product presentation: Cavalor® Cooling Wash - Premium Line To refresh and cool the body, muscles and legs after heavy work. 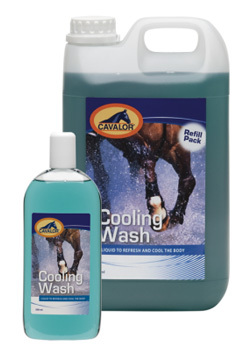 Indication for use: Cavalor Cooling Wash contains a mixture of essential oils to wash, refresh and brace the body and muscles of the horse after heavy effort. It works also as a disinfectant for small wounds. Dosage, application and safety of the product: Use the top of the bottle to provide dosage. Mix the contents of 1 top (20 ml) in a pail and add at least 4L of cold water. Wash the body, especially the back and legs of the horse, with this mixture. May be rinsed off after a few minutes, but rinsing is not necessary. Use a maximum concentration of 15 ml/ 0,68 fl. oz. Cooling Wash/4 liters. For external use only. Avoid contact with eyes. Keep away from children. Bottle 500 ml/ 16,9 fl. oz. Container 3L/ 101,4 fl. oz. Product presentation: Equi® Wash - Premium Line Skin-friendly shampoo for deep cleaning. 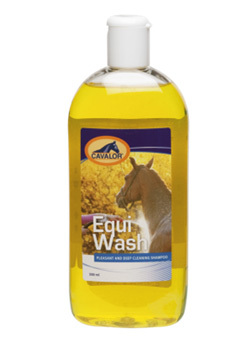 Indication for use: Cavalor Equi Wash is a mild shampoo that thoroughly cleans the coat of your horse. Cavalor Equi Wash gives a shiny effect to the horse's coat and does not irritate. Composition and conservation : Cavalor Equi Wash is a highly concentrated and soft (pH 7-7.5) shampoo that has an important cleaning and shining quality. Cavalor Equi Wash is a mixture of anionic tensio-active elements based on alkylarylsulphonates, which are deodorant and vegetal extracts. It contains no acid or solvent. These properties make Cavalor Equi Wash a product devoted to the health and comfort of the animal. Dosage and application: Pour 2 to 3 caps of Cavalor Equi Wash into a pail (10 L), add warm water and mix well to obtain a homogeneous mixture. Wash your horse with Cavalor Equi Wash twice a month or more frequently if required. Product presentation: Cavalor® Ice Clay - Premium Line Cools down stressed tendons. Indication for use CAVALOR Ice Clay is a poultice enriched with natural products, essential oils and minerals. The essential oils in Cavalor Ice Clay appear to have calming and analgesic properties. These assets might help reduce swelling. Cavalor Ice Clay slowly cools down stressed tendons. 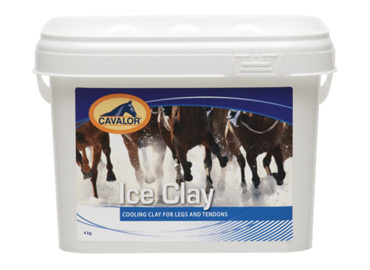 Use Fast cooling: Apply Cavalor Ice clay in a thick layer on the affected leg. Let Cavalor Ice Clay dry completely. It can be removed using a hard brush. The legs should be sprinkled with cold water until Cavalor Ice Clay has disappeared. Slow cooling: Apply Cavalor Ice Clay on the tendon and put a wet paper around the layer of Cavalor Ice Clay. Wind bandages around the paper. A slow cooling will produce a warming effect - the so-called "warm and wet compress effect." For external use only: Do not use on infected or open wounds. Product presentation: This mud fever (scratches) ointment is a 100% natural and doping-free product. Because MudDoc stops bacteria from attaching to the foot, it not only treats current mud fever but helps prevent future breakouts as well. 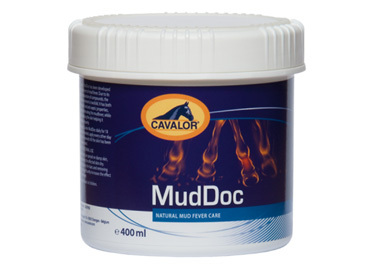 Indication for use: Disinfect the irritated skin and apply Cavalor MudDoc. For external use only. Packaging: tub of 400 ml/13.6 fl. oz. 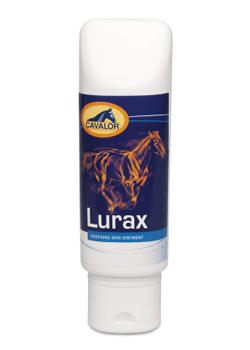 Product presentation: Cavalor® Lurax - Premium Line A skin ointment for treating small wounds and scratches. Indication for use: Minor skin wounds after an accident call for an ointment that contains everything needed for extremely fast and effective healing action. Essential oils, vitamins, acids, oxides and plant extracts ensure that this ointment has a soothing and relaxing effect on the skin. Irritations are counteracted (less rubbing and opening of wounds by the horse), due to the cooling and calming effect. Skin cells are supplied with nutrients that are important for recuperation. Risk of inflammation is reduced. Wounds caused by rubbing of the saddle are prevented. Composition, application and safety of the product: Cavalor Lurax contains cod liver oil, zinc oxide, vitamins A and D, boswellia serrata, aloe vera and essential oils. This mixture produces exceptionally good results (see packaging for label values). In the case of serious skin damage, wounds or inflammation, always consult a veterinarian before using this product. How to apply: Massage the ointment thoroughly into the skin around the affected area three times a day until the skin is normal again. This product is for external use only! Product presentation: Cavalor ® Hygienic Wash Indications for use A shampoo and/or soap cleanses an animal's skin and hair, removing dirt, dust, excrement, etc. However, a conventional shampoo has only limited antiseptic effects and with prolonged use can cause irritation. CAVALOR Hygienic Wash cleans the skin, destroying bacteria, viruses and mould. 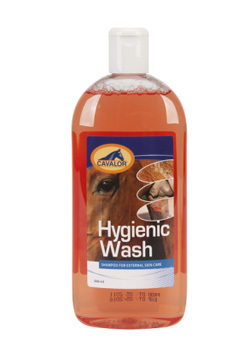 CAVALOR Hygienic Wash was tested on several horses based on the following examinations: 1) Cleaning of the sheath in stallions and geldings 2) Disinfection of superficial wounds (2 treatments per day) 3) Foot baths for hoof wounds. Product presentation: Too many competitive horses do not perform to their full potential due to stress. CAVALOR CALM can be the answer. Cavalor Calm aids in the prevention of symptoms associated with stress. Horses that perform well during training can lose their ability to concentrate owing to the stress of transport, the commotion and distraction of a different environment and the enervating events at competitions. As a result, they respond less attentively and sometimes do unexpected things. Stress caused by fear of the unknown also occurs in young or inexperienced horses during training, and they can react violently. Stress not only affects the horse's performance, but its condition, too. Avoiding stress is therefore very important. 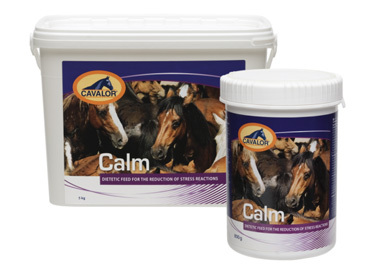 Apart from calming by the rider and/or groom and gaining sufficient experience, Cavalor Calm® may help to support those horses that need it. CAVALOR CALM is a nutritional supplement based on herbs, having an anti-stress action but not making the horse unresponsive. CAVALOR CALM doesn't contain prohibited substances and has no negative effects on the liver and kidneys. Cavalor Calm is especially composed for horses that only exhibit "spooky" behavior at competitions and to a lesser extent for chronically nervous horses. Composition and Safety of the Product: Cavalor Calm is a dietary feed based on herbs and contains elements that counteract hypersensitivity. Irritability through noise, light and shade, changes in temperature, unexpected movements, other horses, strange situations, etc. is counteracted by a calming effect that does not interfere with the ability to concentrate nor with motor function. Because Cavalor Calm® is strongly diluted, it has no secondary effects whatsoever: no residues and no adverse effects on the liver or kidneys. Cavalor Calm contains: magnesium, tryptophan, herbs, vitamin B1, B6 and B12. Cavalor Calm® contains no substances that are prohibited in competitive sports. Application: Each horse is an individual and therefore has individual needs. It is very difficult to determine an overall dose for a calming product. We recommend searching for the correct dose for your horse. We advise a starting dose of 3 scoops per day (45g/ 1.59 oz), 2 - 3 days before an expected stressful situation. Mix with the daily feed ration. This dose can be adjusted according to results produced. Can also be used for a longer period with a maximum of 4 weeks. Reduce dosage gradually. You may want to stop giving Cavalor Calm continuously to your horse, as habituation might occur. Find more info on this issue in the FAQs. Many sport horses perform below their ability because they are stressed and not able to focus on the competition. Stress, nervousness, panic, lack of concentration, are descriptions for a very complex problem. There is still no universal effective way of fully calming horses without using sedation (not allowed during competition!) while at the same time increasing their concentration to the maximum. By obtaining more insight in the complexity of the problem, Cavalor has managed to develop Cavalor Sozen. This is the first equine supplement that works on the Adrenaline - Cortisol balance. Cavalor found out that stress is caused by long periods of tension. Stress will dis balance the hormonal system, by producing too much Adrenaline and too little Cortisol. The more the adrenaline - cortisol balance is disturbed, the greater the impact of a tension moment will be. Dosage and application of the products: Cavalor Sozen: The first time you use Cavalor SeZen you have to give a Starting Boost of minimal 10 days 30 g per day (four scoops). This is needed to rebalance the Adrenaline - Cortisol balance. REMARK; sometimes after 4 - 5 days the horse might even get a little more tensed, but this is because the Cavalor SoZen start to work on the balance. 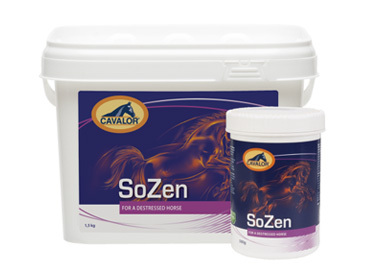 After the Startup boost you can use Cavalor SoZen 2 days, 15 gr / day (two scoops) before the day on which the horse should be calm. Maximum dosage: 60 gram per day. Most horses react well to Cavalor SoZen. If the horse has not calmed down sufficiently with the use of the individual products, it is advisable to combine Cavalor SoZen with Cavalor Takit Easy, which is rich in tryptophan, that works more on the Methionine/ Serotonin balance and is very complementary to Cavalor SoZen. Product presentation: Oral Paste for the reduction of stress reactions. Indication for use: Depending on the level of stress from 20 – 60 cc 24 hours before the stress situation. Optimum result: 20 cc the evening before, 20 cc in the morning and 20 cc 1 hour before the stressful situation. Maximum 3 tubes per day. Packings: Box with 5 syringes of 60 cc. Product presentation: Cavalor An Energy Boost is formulated to provide the horse with an extra energy boost and important nutrients before, during and after strenuous efforts. 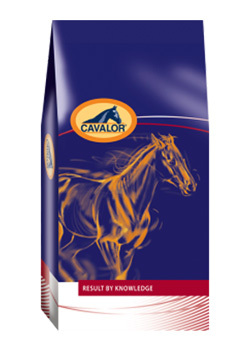 Composition, administration and safety of the product: Cavalor An Energy Boost is formulated for top competition horses. 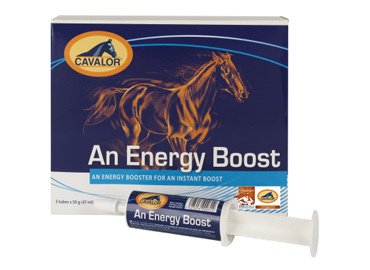 Cavalor An Energy Boost contains electrolytes like sodium and potassium, vitamins (B1, B2, B3, B6, B12 and C), minerals (calcium and phosphorus), amino acids and glucose with a very complete and rapid absorption (within 10 minutes) to prevent the horse from running out of energy. Cavalor An Energy Boost contains no substances that are prohibited in competitive sports. Cavalor An Energy Boost is usually given before or during an event or stressful situation. Administration is simple: the paste is applied to the back of the horse's tongue with the oral dosage booster. The dosage makes it possible to administer Cavalor An Energy Boost at any moment, even during the competition (e.g., after warmup). Dosage: Per event/per day as required: 1 booster on the back of the horse's tongue (you can adjust the amount with the dosage ring). Maximum dose: 3 boosters per animal per day. Indication for use: Cavalor ATP Plus – complementary feed for horses - is an energy-rich feed concentrate for sport horses and breeding. It is based on extensive scientific research which has shown that the addition of specific fatty acids to the daily feed ration, such as omega 3 and omega 6, produces exceptionally good results. This leads to an optimal energy balance, which in turn contributes to uniform growth and increasingly good physical condition. This is manifested, for example, by an overall improvement in condition and greater staying power (due to a "glyco-sparing effect"), a shiny coat, better feed conversion (more energy out of fewer kilos of feed), less transpiration and a marked decrease in muscle stiffness and liver and digestive problems. Cavalor ATP Plus is mainly used prior to competition in eventing, racing and endurance and for an optimal condition of sales horses. Cavalor ATP Plus is also used during critical periods in breeding and rearing of horses. At these times, energy needs are high, especially for the broodmare in early lactation. Cavalor ATP Plus can be safely given to foals with “Meconium elimination problems". The foals gain more weight during the first week and have a higher feed conversion. Cavalor ATP Plus may positively influence the mare’s milk production with regards to quality and composition. Composition, application and safety of the product Cavalor ATP Plus contains a.o. : vitamin A, D3, K3, B1, B2, B3, B6, B12, E, C, Folic acid, choline, biotin; trace elements such as copper and macro minerals such as calcium and phosphorus . Cavalor ATP Plus has twice the energy value and contains eight times more oil (specific fatty acid formulation) than conventional horse feeds (without making the horse too hot). This feed is suitable for performance horses and lactating mares, which have a higher energy requirement. Cavalor ATP Plus contains easily digestible ingredients processed from grains, seeds and vegetable oils. Cavalor ATP Plus is given in combination with normal cereals and feed concentrates. Dosage: Provide as partial substitute of raw stock/feed concentrate. Replace 2 kg of normal feed concentrate by 1 kg Cavalor ATP Plus. Do not exceed this amount! Let the horse gradually adapt to Cavalor ATP Plus by giving it small amounts (0.1- 0.2 kg) the first few days. Give Cavalor ATP Plus for at least six weeks or until nutritional recovery. Maximum dose: 1 kg per animal per day. Product presentation: Sometimes without any demonstrable reason, a horse may have a period of listlessness in both appearance and performance. As a consequence, the horse creates an impression of dullness. In these cases, the horse's body may need a special boost of nutrients. The nutrients in Cavalor Kick Up help boost your horse's physiological processes and therefore may revitalize and improve your horse's performance. It is recommended to supplement Cavalor Kick Up in the evening before competition and in the morning of competition if the horse should be less fit. Composition, application and safety of the product: The (liquid) dietary feed Cavalor Kick Up enriches the normal feed ration with easily and rapidly absorbed vitamins, minerals, amino acids and aromatic plant extracts. Thanks to the presence of these high-grade nutrients and their interaction, the physiological processes receive a boost. The results of Cavalor Kick Up are quickly noticeable. The horse appears revitalized and the performance improves rapidly. 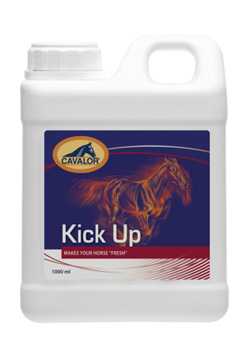 Cavalor Kick Up is given to the horse every other day in periods when there is a need for nutritional recovery and convalescence; it is also given every day in periods of greatly increased need (e.g., during a heavy competition season). Dosage: Active competition horses: 50 cc/ 1,69 oz per animal per day Ponies and recreation horses: 25 cc/ 0,85 oz per animal per day Recommended period of use: give every other day, sprinkled over the feed, until recovery is achieved (generally speaking, 7 to 10 days); or every day in periods of greatly increased need (competition season). Maximum dose: 100 cc per animal per day. The nutrient composition of Cavalor Arti Matrix is more focused on the nutritional support of horses with acute, severe or chronic problems. We recommend supplemening Cavalor Arti Matrix during the first two months if such problems occur. 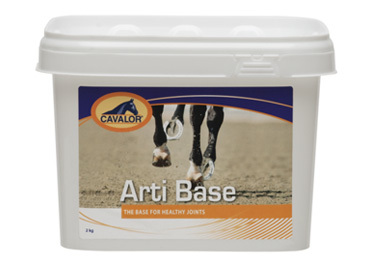 Cavalor Arti Base contains glucosamine, chondroitin sulphate, collagen II and MSM, plus minerals important in joint health such as copper, zinc and manganese. It also contains vitamin C.
Product presentation: Cavalor FreeBute supports the muscles and joints of horses that have to deliver top performances. It may relieve joints and muscle pain following exercise. This is a doping-free way to provide all the benefits of phenylbutazone without causing stomach irritation. The relief of pain and discomfort, aimed at giving a horse more rest and comfort, is the start of many healing and recovery processes. However, the means to do so can have unwanted side effects, which may even harm the horse, and/or contain substances that prevent the horse from participating in competitions for some time. For many years it has been known from botany and herbal science that a number of natural nutritional elements which are completely innocuous - and therefore have no harmful side effects and may be used in competitive sports - give relief in many common situations. Based on these insights, Cavalor Free Bute Natural Relief tablets have been developed. Composition and safety of the product: Cavalor FreeBute Natural Relief tablets contain a delicate mix of herbal/plant elements in the right ratios for optimal effect. This completely natural approach is not only known to give relief within a short period of time to muscles and joints in distress, but it also contains ingredients with anti-inflammatory properties. Being a natural product, Cavalor FreeBute Natural Relief does not contain any active chemical ingredients and has been popular among specialists and professionals in top equine sports for years. It is recommended that you consult a specialist before use. Product presentation: Cavalor FreeBute Pro was developed in order to support the muscles and guarantee greater mobility. Cavalor FreeBute Pro contains all of the necessary characteristics for performing at the highest level. Horses that feel better will also perform better. The relief of pain and discomfort, aimed at giving a horse more rest and comfort, is the start of many healing and recovery processes. However, the means to achieve this can have unwanted side effects, which may even harm the horse, and/or contain substances that prevent the horse from participating in competitions for some time. For many years it has been known from botany and herbal science that a number of natural nutritional elements that are completely innocuous - and therefore have no harmful side effects - may be used in competitive sports and give relief in many common situations. Based on these insights, Cavalor FreeBute Pro was developed. 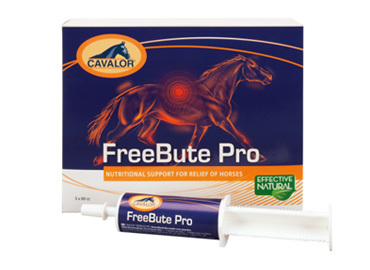 Composition and safety of the product: Cavalor FreeBute Pro is a supplementary animal feed based on herbs and bioflavonoids. Being a natural product, Cavalor FreeBute Pro does not contain any active chemical ingredients. It is recommended that you consult a specialist before use. 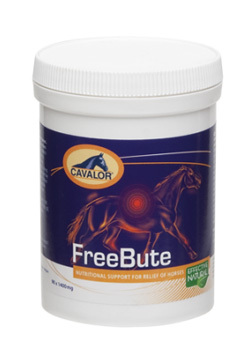 Tip: CAVALOR FREE BUTE PRO can be used for competition horses. Respect the dosage. Cavalor FreeBute Pro can be used together with CAVALOR ARTI MATRIX or CAVALOR ARTI BASE without any difficulty. Dosage: 1/2 injection in the evening before the exertion + 1/2 injection in the morning prior to the exertion. Product presentation: CAVALOR® MUSCLE FIT (Enriched with isolated whey proteins) - Professional Line Helps prevent muscular problems Cavalor Muscle Fit should be used before and after intense efforts to obtain optimal muscle fitness and flexibility. After 2 days, your horse will be less subject to muscle stiffness and soreness. Indication for use : Muscle cramps and stiffness are phenomena that human athletes can relate to. Riders who lack sufficient athletic condition may also suffer from these muscle problems. Top competition horses experience similar problems. Since the performance level is high, it is essential to prevent acidosis. The consequences of not recognizing, preventing and solving muscle stiffness is well known: loss of condition, not being able to participate in competitions, injuries, and perhaps even an end to participation in all competitive sports. Competition horses have a greater need for these nutrients. Horses that have had previous muscle problems may remain sensitive to these problems. 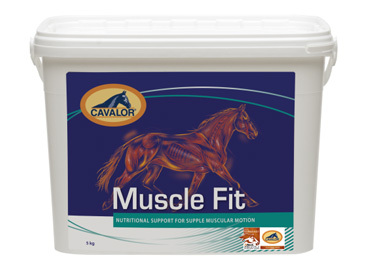 The administration of Cavalor Muscle Fit for 2 to 3 days before a heavy effort will result in improved muscle action. Composition: Cavalor Muscle Fit contains a wide selection of nutritional elements that counteract the production of acid and break down and remove accumulated acid relatively quickly, even under strenuous conditions. Cavalor Muscle Fit has also a strong anti-inflammatory effect. Cavalor Muscle Fit has been recently enriched with isolated whey protein, an immuno-compound that aids muscle performance by its antioxidant activity. The composition of Cavalor Muscle Fit - a mixture of specific vitamins, minerals, herbs, amino acids, sulfur precursors, natural anti-oxidants and other nutrients - makes it a product often recommended by specialists. For precise dosage and a long shelf life, Cavalor Muscle Fit is supplied in small sachets. It contains: vitamins E, B1, B2, B12, B15; herbs; trace elements: manganese, zinc, selenium; calcium, sodium, magnesium, lysine, methionine (see packaging for label values). Dosage: Two sachets (30 grams/ 1,06 oz) per animal per day mixed in the feed. Cavalor Muscle Fit can be given preventively several days prior to strenuous exercise (to prevent stiff muscles) or for 3 to 4 weeks in cases where stiffness is detected afterwards (Maximum dose: 120 grams/ 4,2 oz per animal per day). Pail containing 2 kg/ 4 lb. Pail containing 5 kg/ 11 lb. Indication for use: To get competition horses rapidly back to their former level after a period of rest, reduced work, little training or a loss of condition, it is essential to strive for a balanced and optimal buildup of the muscle complex. This requires an interaction among training, exercise and nutrition. Cavalor Muscle Force produces quickly noticeable results, with a uniform development of muscles. Cavalor Muscle Force also gives excellent results with young horses when a more rapid development of muscle power is required. Composition and safety of the product Cavalor Muscle Force is a dietary feed for nutritional recovery and/or nutritional support. It supplies the essential nutritional elements which - by their delicate interrelationship, potent mode of action, bio-availability and quality - supports the natural and rapid development of muscles without interfering with other physical processes. Cavalor Muscle Force contains albumins, carbohydrates, minerals, vitamins, herbs and nucleotides. This unique composition of building blocks and nutrients involved in muscle growth contribute to a balanced muscle development, and as a consequence muscle damage after intensive exercise is prevented. 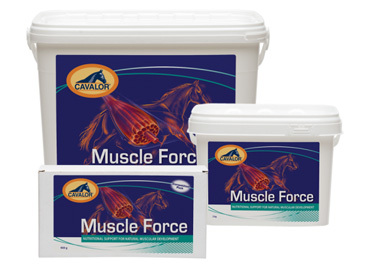 Due to the unique composition of Cavalor Muscle Force and the fact that it is composed of 100% natural substances and contains no prohibited substances for competitive sport, it is now widely used in racing/trotting, western disciplines, show jumping, dressage and breeding and is often recommended by veterinarians. 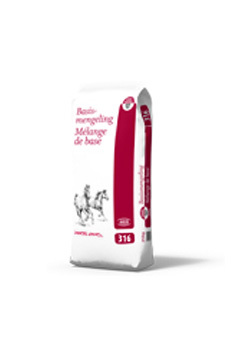 Competition horses: 2-3 sachets (= 30- 45 grams/ 1.06- 1.59 oz) per animal per day. 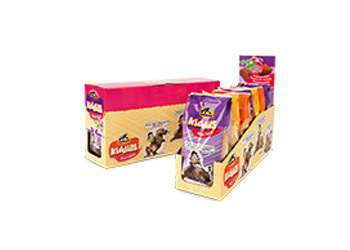 Ponies and recreation horses: 2 sachets (= 30 grams/ 1.06 oz) per animal per day. Continue to give until full recovery is achieved, but at least for a period of 5 weeks. Maximum dose per animal per day: 120 grams/ 4.24 oz (= 8 sachets). To achieve a fast result, it is possible to give a double dose (4/5 sachets/day) during the first week. Box containing 60 sachets of 15 grams/ 0.53 oz each. Product presentation: CAVALOR MUSCLE LIQ® - Premium Line Vitamin E, selenium Potassium Citrate and much more. Nutritional support in case of stiff and cramped muscles. Indication for use: Stiff and cramped muscles may have several causes, so it is recommended that you consult a specialist in these cases. Frequently, the main cause of this problem is related to muscle acidosis. Acidosis may not only cause muscle stiffness but can also be the underlying cause of muscular disorders that can cause severe immobility of the horse. (In that case, the veterinarian should be called in immediately.) Muscle stiffness should not be underestimated. Muscle and tendon injuries may be the result of inadequate attention to the prevention of stiffness or insufficient measures for recuperation. For severe muscle stiffness, we recommend using Cavalor Muscle Fit. Composition and safety of the product Cavalor Muscle Liq is a feed supplement that contains nutritional elements that are lacking in the feed ration or are insufficiently generated in the animal's body. It is appropriate for horses that are structurally, periodically or incidentally affected by mild stiffness of the muscles. The nutrients in Cavalor Muscle Liq contain the right elements to counteract acidosis. Cavalor® Muscle Liq contains vitamins E, B1, B2, B12, Betaine and trace elements: organic zinc, selenium; minerals: calcium, sodium, magnesium. 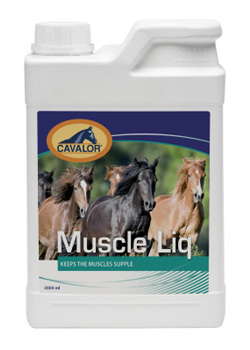 Cavalor Muscle Liq is enriched with Sodium Citrate: The acid-citrate salt is a buffering agent - included to help prevent the acidosis related to stiff and cramped muscles.. The sodium content given as an after work recovery aid stimulates the animal to drink more water, which in turn corrects post-race dehydration and flushes acid and metabolic wastes from the kidneys. Dosage: Dosage per animal per day: 50 ml liquid mixed in the feed. Administer Cavalor Muscle Liq a few days prior to an intensive work or training and immediately after intense work. Always administer water when you give Cavalor Muscle Liq as the high Sodium level will make the horse drink more. Maximum dose: 150 ml per animal per day. Product presentation: Cavalor® An Energy Boost- Premium Line Compensates for loss of energy during top performance. Indication for use: Cavalor An Energy Boost is formulated to provide the horse with an extra energy boost and important nutrients before, during and after strenuous efforts. Product presentation: CAVALOR® ELECTROLIQ BALANCE - Professional Line Liquid solution to compensate for electrolyte losses through major physical exertion. Indication for use: Electrolytes (potassium, chloride, sodium), combined with adequate fluid absorption, ensure the optimal function of the fluid exchange of the cells. When the horse sweats heavily during heavy efforts, stress or in high temperatures, a lot of electrolytes are lost. This causes the fluid exchange in the muscle cells to work more slowly, retarding muscle contraction. This may lead to weakness and muscle cramps. After heavy exertion accompanied by severe sweating, it is crucial to restore the electrolyte balance to normal as soon as possible. To obtain optimal recovery of the body after intense exercise, it is advisable to feed the electrolytes with 1 kg easily digestible grains within an hour after completion of the performance. The horse must always have fresh water available. The advantage of Cavalor Electroliq Balance is the delicious taste, which ensures that the electrolytes are easily accepted by the horse. The liquid form is a practical alternative to other supplements, which are mostly in powder form. The liquid form allows for equal distribution of the product across the feed, ensuring that nothing is lost or remains behind at the bottom of the manger. 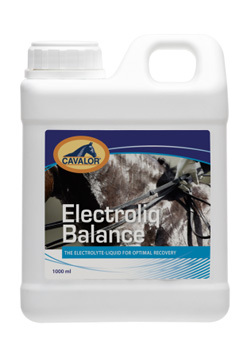 Tip: Use Cavalor Electroliq Balance especially during hot days, after heavy training or during extended transportation. For horses that drink less after transport to a different stable or location due to a different taste in the water, the addition of Electroliq Balance to their drinking water may offer a solution. It is however advisable to first check whether the horse will drink enough with the addition of Electroliq Balance at home. 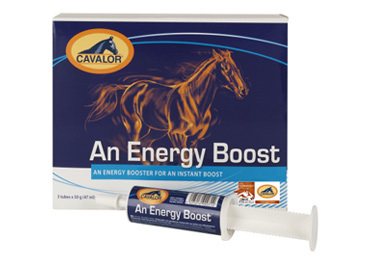 During competitions you may use Cavalor Energy Booster (paste in tubes), containing electrolytes as well as additional B-vitamins and amino acids. Composition and safety of the product: Cavalor Electroliq Balance contains sodium, potassium, magnesium, calcium, fructose and dextrose. Current research has shown that the horse may benefit from the presence of fructose. Fructose may promote the absorption and mobilization of electrolytes. An apple flavor that horses find delicious is also added to stimulate appetite. Indication for use: When horses sweat, they may lose a lot of electrolytes and mineral that are necessary for the proper functioning of the body. As sweat in the horse is hypertonic, depletion of electrolytes and water are major causes of fatigue in endurance events. As a consequence of electrolyte depletion the horse may show a decreased condition and loss of performance. Recovery of the natural mineral/electrolyte/vitamin balance takes time, and if the deficiency of electrolytes due to severe sweating is considerable, the loss must be compensated. 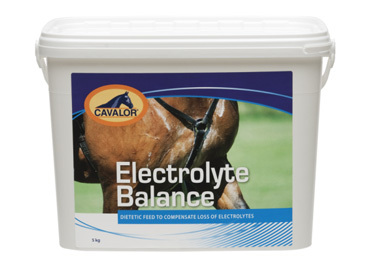 When using Cavalor Electrolyte Balance after a situation involving loss of electrolytes and minerals through sweating (heat, transport, exertion) the horse will remain fit for a longer period, will recuperate faster and more easily withstand longer periods of intensive training, competition and transport. Composition and safety of the product Cavalor Electrolyte Balance is a dietary feed that supplements these deficiencies. It contains a number of essential electrolytes (including sodium, potassium, chloride, magnesium and calcium), as well as some important B vitamins. Other ingredients include essential amino acids and sugars (dextrose), which provide energy and promote the absorption of electrolytes. Dosage: 45 grams/ 1,59 oz mixed in the feed or dissolved in the drinking water per animal per day. Recommended use: right after a period of sweating. Always provide unlimited access to fresh drinking water. Maximum dose: 100 g/ 3,5 oz per animal per day. Tip: Give your horse 45 g Cavalor Electrolyte Balance and 500 g of extruded cereals with 100 g dextrose within 30 minutes after a heavy effort for optimal recuperation and to have a fit horse the following day. Product presentation: Cavalor® Bronchix Chronic - Professional Line Liquid preparation for pulmonary problems that are accompanied by restricted flank movements, short breaths and frequent coughing. Indication for use: Cavalor Bronchix Chronic is a preparation to support the respiratory tract. Stimuli rapidly lead to irritation of the airways, which stresses the lungs and causes the flanks of the horse to visably heave in and out. Cavalor Bronchix Chronic is developed from vegetable plant extracts, which are known for their beneficial impact on maintaining the integrity of the bronchio-pulmonary texture and the capability of expectorating in cases of respiratory irritation. When in doubt or with when excessive symptoms are present, always consult a specialist who will prescribe appropriate veterinary products and care. Composition and product safety Cavalor Bronchix Chronic is a liquid preparation consisting of herbal and plant extracts. This formula has brought considerable relief to many horses in first-episode occurrence and persistent cough and snuffling, which can frequently have a longer-term debilitating effect on the lungs. Cavalor Bronchix Chronic is sprinkled over the feed during or after a period in which severe respiratory problems are being treated.Dosage For 21 days: sprinkle 20 ml/0.68 fl. oz. per day over the feed or inject into the horse's mouth. Repeat supplementation after three weeks for an additional 10 days. It is recommended that the animal be subsequently given 20 cc for 10 days every month. Maximum dose: 50 ml per animal per day. Product presentation: CAVALOR® BRONCHIX LIQUID - Premium Line Supports the upper respiratory tract, especially in case of coughing due to irritation. Indication for use: Cavalor Bronchix Liquid is the fastest solution for colds, "stable cough" and congestion. Cavalor Bronchix Liquid also provides nutritional support for opening airways before an intense effort (clears the respiratory tract). 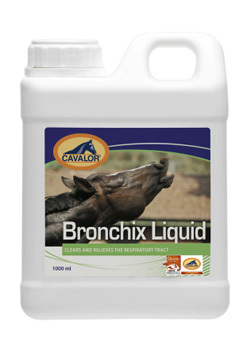 Cavalor Bronchix Liquid is a preparation to support respiration. Coughing due to irritation can have a variety of causes: inhaled dust, substances that provoke irritation of the respiratory system, a sudden change in weather conditions or hypersensitivity. Tickling cough is often of a temporary nature, but it is nevertheless annoying and troublesome for the horse. Coughing is a natural reflex, but with Bronchix Cavalor Liquid it can be made more efficient and less annoying to the horse, as the irritant causing the cough will be removed more quickly. Composition and safety of the product Cavalor Bronchix Liquid is a liquid blend of essential oils known for their expectorant and soothing properties. The composition provides a fast result, which not only makes it easier for the horse to breath but also has a beneficial effect on the entire bronchial system. Cavalor Bronchix Liquid contains a blend of plant extracts, including eucalyptus, lemon ¬and rosemary. Dosage per animal per day: Sprinkle 25 ml/ 0,85 fl. oz. twice a day over the feed, or dissolve in the drinking water, for a minimum of 5 days. 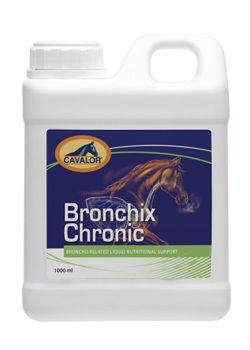 Cavalor Bronchix Liquid can also be used a few days prior to competition for an optimal respiratory tract condition. Maximum dose: 100 ml per animal per day. Packaging: Bottle containing 1000 ml/ 33,8 fl. oz. Nutritional approach for horses with irritations of the bronchia and pulmonary problems. Indication for use: Irritation of the bronchia and pulmonary problems can be caused by different factors. These problems can have a very negative influence on the condition and the vitality of the horse. It is very important to solve these problems profoundly. Cavalor Bronchix Pure sooths and clears the respiratory tract. 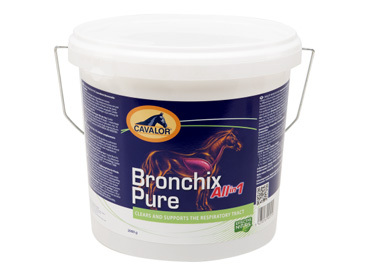 Cavalor Bronchix Pure supports the respiratory tract and increases the natural resistance. Dosage: 50 g/ day during 40 days 1 measuring scoop = 10 g/ 0.35 oz Storage & Packaging Pail of 2 kg Use until 1,5 years after production date. Keep dry and at temperatures from 5°C till 25°C in normal storage hangars. Indication for use: Cavalor Digest improves digestion and restores gut flora, protecting against diarrhea and also decreasing the risk of colic. Furthermore, it binds, traps and inactivates mycotoxins. Cavalor Digest provides a unique and multidisciplinary approach to optimize digestion and to improve gut health and gut flora by providing a variety of nutrients and nutraceuticals (living yeast culture, herbs, activated carbon, etc.). 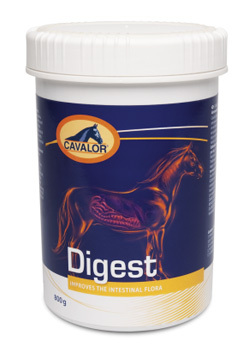 Cavalor Digest can also be used in the dietary management of horses associated with gastrointestinal disturbances. Cavalor Digest also contains ingredients to reduce the risk of the harmful effects of mycotoxins. What are the effects of mycotoxins and general symptoms of mycotoxicosis? Mycotoxins originate from molds. They grow on living and stored plants. The growth of mycotoxins is practically unavoidable, especially in moist conditions. Because of the large volume of feedstuffs that must be stored and distributed in stables, considerable opportunity exists for molds to grow, especially when dry and cool storage of harvested feed is not possible (particularly in countries with a warm and humid climate). When mycotoxins are ingested, either in large single doses or in small quantities over a long period of time, it can have adverse effects on the performance capacity, the reproductive efficiency and the health of horses. There are several general symptoms that may indicate that a mycotoxin problem exists: - Reduced consumption of feed - A high incidence of digestive upsets/ liver problems (equine leukoencephalomalacia) - A high incidence of diseases associated with depressed immune function - A high rate of fertility problems without obvious infectious disease involvement - Animals that do not respond well to treatment There are many types of molds that produce a variety of mycotoxins, causing various diseases. Only a few mycotoxins have been related to feed-borne mycotoxicosis, and the potential impact on animal health remains to be further elucidated. The risk for some mycotoxins can be reduced by dietary management. Among others, the occurrence of fumonisin-B1 and aflotoxin-B1, and to a lesser extent Loiter B (rye grass staggers), seem to be the most threatening mycotoxins in equine rations. Composition and safety of the product Cavalor Digest contains different active ingredients with different modes of action to increase digestion, improve gut health and gut flora, and reduce the risk of mycotoxicosis. It contains living yeast cultures both positively influencing digestion and nutrient absorption. Activated carbon and bentonites that act as mycotoxin-binding agents by adsorption on their surface are included to reduce mycotoxin risk. Cavalor Digest contains the amino acid methionine to support the suggested benefit of supplementing this amino acid during mycotoxicosis. It contains choline chloride, which has a "methionine saving effect" and plays a role in fat metabolism. A variety of herbs as oregano, anise, melissa and cumin have been added to enhance the digestibility of the ration and improve palatability. Dosage: Add 30-45 grams/1.06- 1.59 oz to the daily ration for a minimum of 4 weeks. Do not use longer than 6 weeks. My follow up with Cavalor Vitaflor 365. Product presentation: CAVALOR® GASTRO 8 - Professional Line The nutritional tool to use in gastric ulcer management and gastric ulcer prevention! Indication for use: Every equine practitioner appreciates the delicate nature of the equine gut. Problems related to the small intestine and large intestine are well understood and routinely treated. What may be surprising is how often the stomach is affected, specifically; the incidence of gastric ulcers is extremely high, particularly in performances horses. Different studies (post mortem and gastro endoscopes studies) show that 75-89% of horses in active training have gastric Ulcers. The major cause of Gastric Ulcers is prolonged exposure of the squamous mucus to gastric acid. The only protection that the horse stomach has against gastric acid and pepsin comes from saliva production. Meals of grain or extended periods of fasting lead to excess gastric acid output without adequate saliva production. Intense exercise increases the production of gastric acid even more in a way that the squamous mucosa of the stomach gets thoroughly bathed in acid. Horses with gastric ulcers may show symptoms like a drop in performance; sour attitude; poor hair coat; grinding teeth; picky eater; Weight loss;...... etc. Treatment of ulcers involves either inhibiting gastric acid secretion, neutralizing the acid produced or protects the squamous mucus from exposure to acid. CAVALOR Gastro 8 provides the nutritional tools to neutralize acid production and stimulate regeneration. It also protects the stomach mucus on different levels using different nutritional approaches (as most CAVALOR products do). Composition of the product : Cavalor Gastro 8 contains nucleotides, bioflavonoids, herbs and "vitamin U". 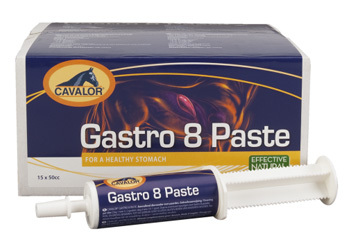 Product presentation: Cavalor ® Gastro 8 Paste - Professional Line The nutritional tool to use in gastric ulcer management and gastric ulcer prevention. Indication for use: Every equestrian appreciates the delicate nature of the equine gut. Problems related to the small intestine and large intestine are well understood and routinely treated. What may be surprising is how often the stomach is affected. The incidence of gastric ulcers is extremely high, particularly in performance horses. Different studies (post mortem and gastro endoscopic studies) show that 75-89% of horses in active training suffer from gastric ulcers. The major cause of gastric ulcers is prolonged exposure of the squamous mucus to gastric acid. The only protection that the horse's stomach has against gastric acid and pepsin comes from saliva production. Meals of grain or extended periods of fasting lead to excess gastric acid output without adequate saliva production. Intense exercise increases the production of gastric acid even more in a way that the squamous mucosa of the stomach gets thoroughly bathed in acid. Horses with gastric ulcers may show symptoms like a drop in performance; sour attitude; poor hair coat; grinding teeth; picky eater; weight loss, etc. Treatment of ulcers involves either inhibiting gastric acid secretion, neutralizing the acid produced or protecting the squamous mucus from exposure to acid. 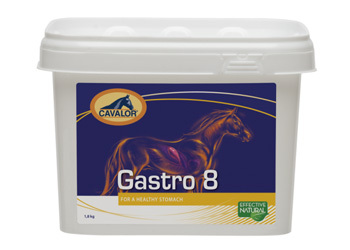 Cavalor Gastro 8 provides the nutritional tools to neutralize acid production and stimulates regeneration. It also protects the stomach mucus on different levels using different nutritional approaches (as Cavalor products do). Composition of the product: Cavalor Gastro 8 contains nucleotides, bioflavonoids, herbs and vitamin U. Dosage: Days 1 to 5: 2 tubes per day. Days 6 to 10: 1 tube per day. Afterward continue to follow up with Gastro 8 powder. Indication for use : Waste products of metabolism are detoxified or filtered by the liver and the kidneys and subsequently removed from the horse's body. If that process fails to function, waste products accumulate and liver and kidney function are altered in particular ways. Liver cells, for example, may no longer have a chance to regenerate (recover). Kidney and liver dysfunction may result in various complaints and is difficult to diagnose, even for specialists, without using various diagnostic tools. Cavalor Hepato Liq is a preparation for horses containing natural substances which - as a supplement to the daily feed ration - play an important role in the protection and regeneration of the liver and kidneys but also lighten the workload on these organs. For example, the release of bile salts is stimulated. The specific composition of Cavalor Hepato Liq ensures that these substances are easily absorbed. In many cases results are clearly noticeable after just one week. Active competition horses with a heavy competition schedule are frequently given Cavalor Hepato Liq during rest periods between or following a succession of events involving intense exercise. Composition and safety of the product: Cavalor Hepato Liq contains herbs, antioxidants and amino acid compounds (see packaging for label values). Dosage: Sprinkle 5 ml in the morning and 5 ml in the evening over the daily feed for one week (dosage shown on the bottle). If necessary, this can be repeated at intervals of 25 days. (Maximum dose per animal per day: 20 ml.). Product presentation: Cavalor® Vitaflor 365 - Premium Line Living yeasts and prebiotics to enhance the absorption of important nutrients and stimulate "good" bacteria. Indication for use: The intestinal tract ensures the absorption of all the necessary nutrients by the body. Its optimal functioning is therefore essential to health. By optimizing the intestinal flora, the maximum yield from the feed is obtained and the body's immunity is strengthened. There are numerous factors that can disturb the intestinal balance such as stress, specific medications, concentrated feed, etc. The colon is a very important component of the horse's digestion. The horse's natural diet is mainly roughage from grass and hay. Because we put higher demands on our horses, there is a need for concentrated feed in the form of grain mixes (high starch content). The small intestine often cannot completely process the digestion of starch, causing a portion of it to be pushed into the colon. There the starch is converted to lactate. This may lead to acidification of the colon, inhibiting the proper functioning of the micro-organisms, which results in a lower digestion of roughage and a reduced absorption of nutrients (especially minerals). This may lead to lowered disease resistance, reduced fitness and/or a colic susceptibility. 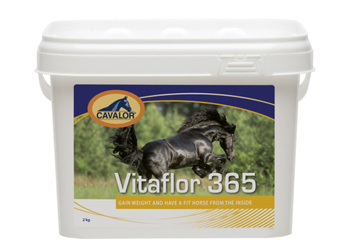 Vitaflor 365 is a daily requirement to balance the absorption of nutrients, improve good development in young horses and maintain the condition of the sport horse. Composition of the product: CAVALOR VITAFLOR 365 contains live yeasts and inulin. Live yeast supports bacteria using lactic acid in the colon, preventing acidification (lowering of the pH), ensuring that the micro-organisms present work under optimal conditions. This improves the digestion of crude fiber, the absorption of minerals and the production and absorption of B-vitamins. Thus, a higher yield from the feed is obtained and the incidence of colic decreases. Inulin is a fructooligosaccharide (FOS), which belongs to the family of prebiotic compounds. These are nondigestible feed ingredients that beneficially affect the animal by selectively stimulating the growth and/or activity of one or a number of species already present in the colon. As an indirect result, prebiotic administration inhibits some pathogenic bacteria to develop. Since inulin is not stored in the body, a daily application is necessary to "feed" these microbes to ensure their beneficial effect and protection against pathogens. Dosage and application of the products: Sport horses: 30 grams/ 1.06-1.4 oz per day (3 measuring scoops) Leisure horses and ponies: 20 grams/ 0.7-1.06 oz per day (2 measuring scoops) During gestation or lactation: 40 grams/1.4 oz per day (4 measuring scoops) Foals: 15 grams/0.35 oz per day (1 measuring scoop) Maximum: 60 gram/2.1 oz per day Mix with the daily feed for at least 4 weeks. Best results are obtained with continued use. Product presentation: Cavalor® Colostra 24 - Premium Line Freeze-dried colostrum. Indication for use: CAVALOR COLOSTRA 24 is given to newborn foals as a replacement of colostral milk from the mare (orphans or foals of mares with little or no colostrum or colostrum of poor quality). 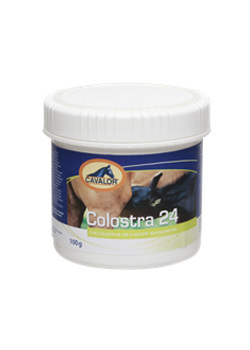 Cavalor Colostra 24 is freeze-dried colostrum which is given to the foal immediately after birth. The use of Cavalor Colostra 24 increases the content of immunoglobulins in the blood. This makes the foal better able to combat pathogens during the first week of life, when it develops its own immune system. The danger of an immunity gap will be smaller, which helps protect the foal against infection and disease. 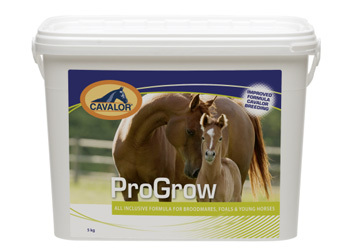 Composition and application: Cavalor Colostra 24 contains natural substances (freeze-dried colostrums), which are essential for healthy growth in the foal. It is recommended that you keep a stock of Cavalor Colostra 24 and Cavalor Hyppolac. Cavalor Colostra 24 is IBR-negative and safe for use with all foals and contains at least 30% of immunoglobulins. Dosage: To supplement the mare's shortage of colostral milk: administer 100 grams/ 3,5 oz of colostrum powder to the foal within 24 hours after birth. To replace a total lack of colostrum: administer 100 grams of CAVALOR COLOSTRA 24 within 6 hours after birth and repeat this administration after 12-16 hours. Put 100 grams CAVALOR COLOSTRUM 24 into 1 to 1.5 liters of milk replacer (CAVALOR HYPPOLAC) or water. Stir well until the powder is completely dissolved. Serve at a temperature of 36-37°C. Product presentation: Cavalor® Hyppolac - Premium Line Milk powder especially developed for orphan foals. Indication for use: CAVALOR HYPPOLAC is a complete maternal milk replacer developed for orphan foals. It is also used as a supplement in the case of insufficient maternal milk or poor quality of the maternal milk and during weaning. Due to its formulation Cavalor Hyppolac stimulates the healthy development of the foal. Cavalor Hyppolac is given in combination with Cavalor Colostra 24, both in weaker foals and preventively to give the foal an optimal start. 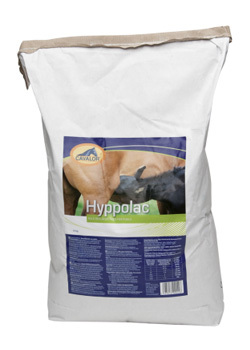 Cavalor Hyppolac is also used during the weaning period to ensure optimal growth after weaning. Due to its high level of highly digestible protein Cavalor Hyppolac can also be given to the older horse in cases of weight loss. In these cases we recommend to mix 0.5kg/day with the daily ration. Composition and safety of the product: Cavalor Hyppolac contains high-grade minerals and vitamins that are rapidly absorbed. Cavalor Hyppolac is an energy-rich milk replacer containing vitamins A, D3, E, C, along with calcium, copper, iron, manganese, zinc, selenium, lysine, methionine and other essential amino acids. It is recommended that you consult a specialist before using this product. Dosage: Add 150 grams per litre of water at 40ºC. Mix thoroughly with a whisk until the powder is completely dissolved. Feed with a baby bottle: 5 to 12 meals per day according to the age and the weight. 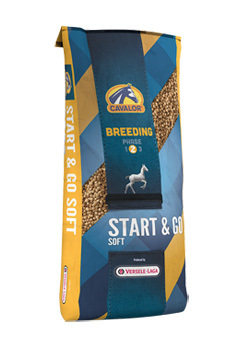 Product presentation: Cavalor® ProGrow - Premium Line Pelleted feed supplement for foals, young horses and brood mares. Indications for use: During gestation, the mare's body ensures that the important "building blocks" specifically designed for growth are produced. These substances are essential for the development and protection of the unborn foal. During lactation, the mare also transfers these substances to the foal. As a consequence, the growing foal can develop a strong locomotive system as Cavalor ProGrow contributes to a healthy immunity status. For the production of these "building blocks" the horse's body needs a complex array of nutritional elements, such as minerals and amino acids with a high biological value. If there is a deficit of these nutrients in the base ration or if less of these required nutrients are absorbed, fewer of the important "building blocks" will be produced. This may subsequently lead to reduced bone or joint development in the foal/young horse or a decrease in the mare's body condition (depending on the period of the deficit). It is of major importance that both mare (during last three months of gestation and first three months of lactation) and foal receive these important "building blocks." An adequate supply of these "building blocks" is critical during this period. Cavalor ProGrow can also be used as a supplement for horses older than one year that need additional high-grade minerals. Composition and safety of the product: Cavalor ProGrow is a blend of minerals that contains high-grade biological ingredients to fulfill the increased need for specific substances during the period of gestation (last three months), lactation and growth (up to about three years). Cavalor ProGrow contains vitamins A, D3, E, K3, B1, B2, B3, B6, B12, H (biotin); folic acid; choline; and minerals/trace elements: iron, copper, zinc, manganese, iodine, cobalt, selenium; magnesium, calcium, phosphorus, sodium, potassium, lysine, methionine, cysteine, threonine and tryptophan. Due to its exceptional composition, Cavalor ProGrow can be given along with the normal feed. Indications for use: For breeders, an optimal sperm quality in the stallion is of major importance. Increased storage time, air exposure, freezing and a high frequency of sperm collection are various factors that may lead to lower sperm quality. As a result of these factors, an increased production of free radicals (reactive oxygen species or ROS) may occur that decrease sperm quality and motility. 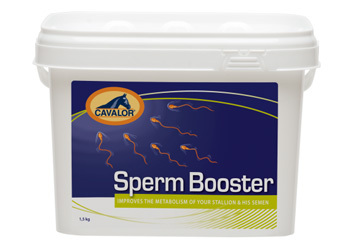 Cavalor Spermbooster contains specific antioxidants to counteract the production of free radicals and nutritional tools important for optimizing the stallion’s libido, metabolism and sperm production and quality. Composition and safety of the product: Cavalor Spermbooster contains herbs, minerals, vitamins, carnitine and omega-3 fatty acids. Supplement the feed with 25 g/0.88 oz per dag (maximal 100 g/day) of Cavalor Spermbooster. A 2-month adaptation period is advised for optimal results.